Golf courses and country clubs must provide exceptional service while maintaining a budget. 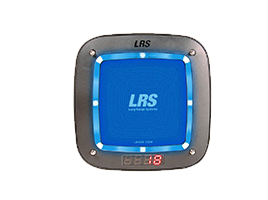 LRS offers several solutions to meet the needs of the golf and country club industry. These solutions will not only help you provide better service but increase your bottom line. Easily recall guests waiting to go on the golf course eliminating queues and over crowding in the reception area, We offer systems that can also improve your staffs communication. Staff pagers are perfect for staff call, customers and other members of staff can recall when needed. The systems we offer will enhance your staffs performance allowing them to complete other tasks knowing they will be recalled if needed by customers or other members of staff. The CS7 Digital coaster is the perfect solution for customer recall, hand your customers a coaster and give them the freedom to go or sit where ever they like while they wait for staff to recall them, this saves staff looking or shouting the names of the customers, the coaster pager vibes when being recalled and the customers then know to return to a member of staff. This digital coaster creates what we like to call an invisible queue, the general public if they see that somewhere is busy for example a coffee shop they tend to find somewhere else when you hand your customers a coaster they can go take a seat and wait until they are recalled making it seem there is no cue. Improve your staffs performance with the cutting edge systems we have to offer. Reduce your wait times and boost your customers satisfaction with the coaster system. The coaster is available in a range of different colours White, Blue, Red, Green and Multi-coloured so regardless of your inertia we can find a coaster that is perfect for you and your business. Not only do we offer colours but also Labels you can brand your coaster with instructions on what to do when the coaster vibes or your logo with an advertisement what ever it is we can make you coaster unique to your business. Please contact us for more information about the coaster pager system and how it can help to improve your business today! Call us on 01782 537000 or fill in our online contact form so a member of our team can get in touch with you shortly.